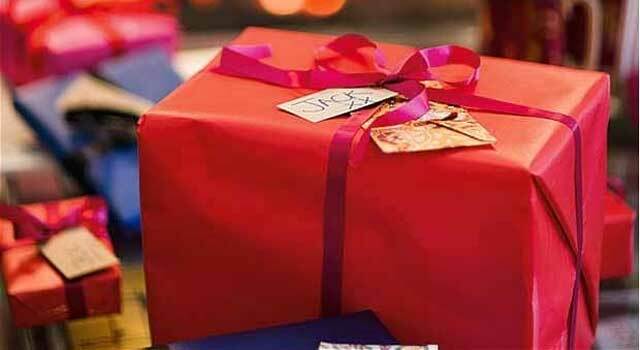 ← What Is Corporate Gifting? Men don’t love shopping for gifts; women love receiving gifts and parents never know what gifts to get their kids. If these statements are true in your case, then we have you in mind with our timeless gift compilation. Whether you are considering giving a custom necklace or a thoughtful, sentimental gift, you will find it from our list of 20 anytime gifts that will never go out of fashion. Get a man a good lazy boy, beer, and a good sports game, and they will never leave the house! Every man needs a good lazy boy to kick their feet up after a long day at work or just to relax on during the weekend. The Leatherman is a handy multi-tool all-in-one fix-it solution that every man needs. Often with over seventeen tools, this is a piece of essential equipment that will be put to great use. It also makes for an ideal functional memorabilia to pass down the family line. Men love gadgets, and a telescope ranks high up on the list of highly useful devices most men would like to have. Boys, in particular, will enjoy growing up with a telescope in their rooms, because it brings the stars in close sight. Getting a good quality sports bicycle is a great gift for any occasion. Get one that has to be assembled, and you will score extra points with that man in your life. A good old watch will still rank high as a great timeless gift for any man. Get a functional watch that he will make significant use of and keep for many years. A custom necklace is an excellent gift choice for any woman in your life and for any occasion. A charm necklace, in particular, would be a great present option, where each year you could add a charm to the necklace to further personalize it. Quilts are amongst the best ageless and timeless gifts. Our grandmas are always knitting quilts, and whether a new knitting or one that has been handed down through generations, any woman will appreciate receiving one. A good quality knife set can last a lifetime with some TLC, and any woman would love one as a gift. Knives are functional kitchen tools that are used every single day, and for the woman who loves cooking, they would be a great addition to her kitchen. Yet another great gift option that instantly becomes part of the family heirlooms. Fine China are also excellent functional chinaware, and they can function as pieces of art when displayed appropriately around the home. To pamper her after a long day, a relaxing shower underneath a luxurious rain shower head will do. These shower heads are built to offer unparalleled luxury, and they are constructed to last. Every woman in your life will love one of these! Just like with a custom necklace, a pendant is a thoughtful gift choice for anyone. Get it engraved for a more personalized touch. Everyone needs diaries to pen down accounts of those precious memories. Get the diaries customized for your family or the name of the recipient. Sentimental coupon cards are still one of those thoughtful and timeless gift ideas that everyone loves. Give out love/chore cards that are redeemable for diverse acts of love or tasks to be performed on behalf of the recipient. Whether sports memorabilia, books, or photographs signed by famous people; everyone appreciates a specially signed gift. Gift customized bottle openers and they will last a lifetime. From that little boy to your grandpa; everyone needs a good pair of leather gloves in their life. Who doesn’t need a good pair of boots in their closet? The Little one may outgrow them quickly, but for the adults, these pair of shoes can stay in their closets for ages. Whether a holiday sweater or a chic piece of clothing; sweaters are an excellent addition in everyone’s closet and they are ideal gifts for all occasions. Everyone needs a photo book filled with photos from their childhood and additions throughout the years. The most priceless gift is time shared with those you love. Now go ahead and get your loved one a gift from our list of 20 anytime gifts that will never go out of fashion.